The Cocoa Bean Cupcake Cafe: Sweet Life In The Valley!! Sweet Life In The Valley!! A new cupcake cafe is in town. The Cocoa Bean Cafe has been a favorite of locals in Rexburg, Idaho and now they have a location here in The Valley right between BYU and UVU. The perfect location of students. The owners are a brother and sister team, Gloria Mugleston & Gary Rasmussen. The Cocoa Bean Cupcake Cafe stays open later and they have Wi-Fi which is also great for those of us who are up late and of course the schedule of the students near by. Joanie and I had a chance to try a few of the favorites. I am always a huge fan of lemon and lime flavors but to my surprise my favorite was one of the chocolate cupcakes. It was Joanie's favorite too! 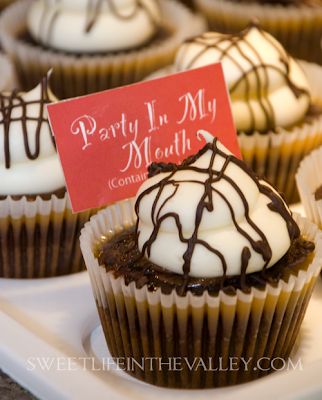 It has a great name to fit the experience " There's a party in my mouth". It is a chocolaty gooey perfectly balanced cup of cakey goodness! 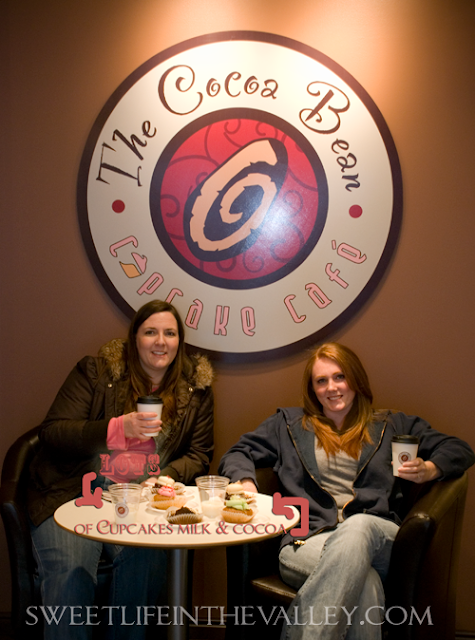 The Cocoa Bean Cupcake Cafe also offers a nice variety of tasty hand crafted drinks. The unique drink they offer is a roasted cocoa bean drink like this drink I told you about. Will you make a link to the cupcake schedule because I want to be able to read it. Thanks. 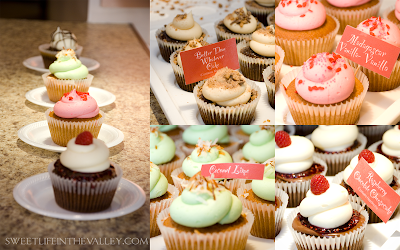 Man, I miss the cupcake cafe...I lived in Rexburg for a few years and live in Washington now. 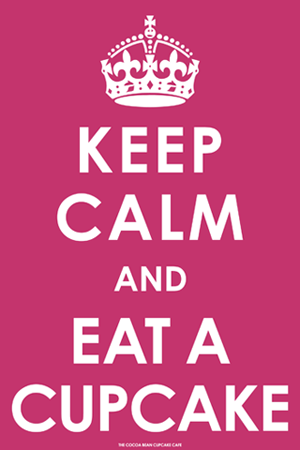 Is there anyway I can order the "I love cupcakes" t-shirt? Truthfully... Really disappointed tonight. As die hard fans of the cupcake cafe we were so stoked to take family from out of town to the BYU location. Tonights the cupcakes were dry, stale, and slightly over cooked. It was so embarrasing to talk the cafe up so much and then our guest didn't even bother to finish their cupcakes. We will always be huge fans but tonight... We have nothing positive to say.